The open floor plan is a must for many Minnesota homeowners. Unfortunately, many homes do not have such a plan in place already. So when it comes time to start that kitchen remodel project, how do you make sure you open up the kitchen without losing valuable cupboard space? Can You Retain Storage Space When Removing a Wall (or Two)? Many of our clients ask us how we will make up lost cabinet space if they want create an open floor plan for their kitchen. The truth is, there is no right or wrong way to approach this. Why? Because when you change your kitchen layout so drastically, you cannot make up actual square footage. But what you lose in footage, you can gain in efficiency. 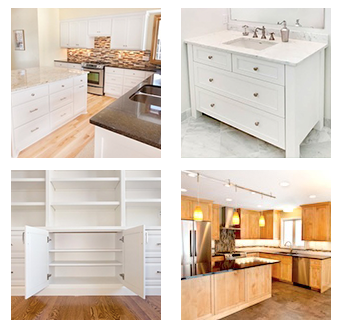 Frameless cabinets: These often increase usable space by up to 40% for each cabinet! 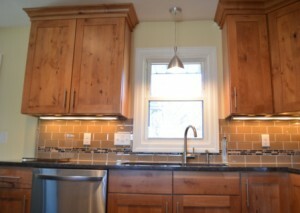 40” upper cabinets: Standard kitchen wall cabinets are generally 30 inches in height. By increasing to 40” or 42”, you gain substantial storage. Pullout shelves in base cabinets: The recesses of standard base cabinets are often difficult to reach. By designing and installing pullout shelves, you increase your ability to reach, and thus store, a greater number of items. Organizer cabinets above the fridge: The space above your refrigerator is not dead space! We can craft unique organization solutions that allow you to make the most of that area. If you are open to removing a kitchen wall, then you may even consider taking your remodel one step further by considering a full revamp to your kitchen layout. This would allow your cabinet designer and installer to best use the space available. Some options here are changing from a galley style to a U-shaped kitchen or even designing and creating a unique island that offers more storage. 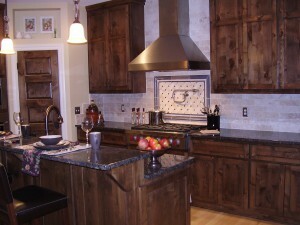 A well-trained cabinet designer will know how to open up your kitchen without losing valuable cabinet space. So when you are considering removing a kitchen wall or even undertaking a full kitchen remodel, make sure to speak to an expert about how to do it smartly. So what do you think? Would any of these solutions work in your kitchen? Have you opened up your own kitchen and used other techniques to make sure you didn’t lose storage? We’d love to hear from you! Leave a comment, send us an email or give us a call at 952-737-7088.